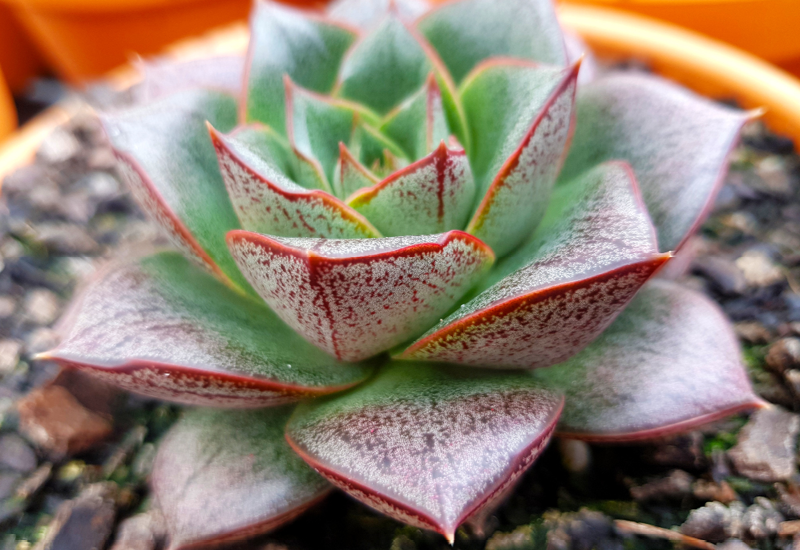 Echeveria Purpusorum would make a beautiful table centrepiece. It has chunky pearlescent leaves with amazing red edges and flecks. It grows quite slowly so could be potted in a smaller pot and happily thrive. During autumn to winter you’ll see lovely bright orange flowers.